Have you had that perfect pair of running shoes, but haven't been able to find them again, anywhere? 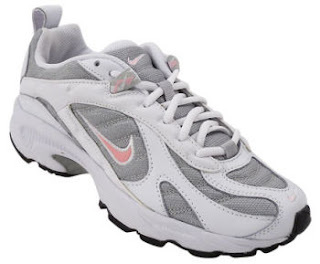 Look no further because, at Rogan's Shoes, we have the womens Nike Xcellerator TR running shoe. The Xcellerators have a great combination of upper mesh and molded synthetic overlays for great breathability without losing any support. The heel has a heel crash zone to absorb shock from impact as you are running or walking. Full length Phylon midsole for added support. The Nike Xcellerator TR running shoe is very light and flexible, great for running, training, walking or working conditions. For their value, these shoes are the most comfortable running shoes you will ever wear. Your feet will feel just as good when you take them off as when you put them on. This shoe is incredibly hard to find, especially in all the sizes that Rogan's Shoes has! Fall in love with your pair of Nike Xcellerator TR running shoe online at rogansshoes.com or find a store located near you.